Acculogic provides expert same day depot or onsite computer virus and spyware removal services. What is a virus? 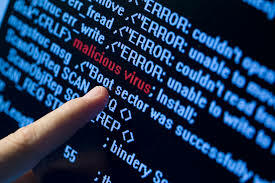 A virus is a program that gets loaded onto your computer without you knowing about it and can potentially cause your PC to stop functioning and even result in data loss. A virus can create and run multiple copies of itself. Most people don’t realize they have a virus until their computer starts to run slowly, even a simple virus can be dangerous because it could quickly use all available memory and bring the system to a halt. Some viruses are also capable of moving across networks and bypassing security systems to infect other computers. What is spyware? Spyware and adware are different than viruses because they do not create copies of themselves and spread, nor do they result in data loss. The most common symptom of a spyware is that your computer will start to run very slowly and have trouble connecting to the internet. At times these programs may invade your privacy and attempt to share your personal information by transmitting it across the internet. The explosion in Internet usage has seen an ever increasing number of these threats emerge – making it an absolute necessity for every PC to be protected. While it is very easy to protect yourself from the threats it is a much more complicated task to ‘clean’ a computer that has been affected, as the saying goes “prevention is better than a cure”. Our experienced technicians are experts in both neutralizing these threats and, more importantly, providing a solution to help ensure they don’t crop up again in the future. 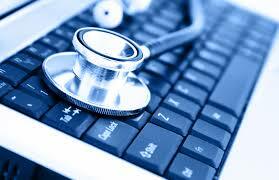 Acculogic Technologies is virus & spyware removal service provider. Contact us at (604)732-4400 for more details.